Introducing the Madjax Powder Coated Black Steel Cargo Box. 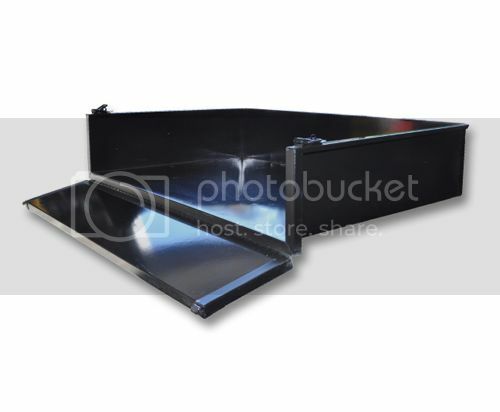 This cargo box is designed for heavy duty work or just light work around the house. With the Cargo Box measuring 44" x 18" x 12" and a hinged fold down tailgate, it allows for a variety of uses. The tailgate has a locking mechanism that is installed once delivered. Model specific mounting brackets are included in the price!